​All writers understand the value of a good pen. A good pen is reliable, convenient, and consistent. It writes on command, when you need it the most. All of these attributes can be linked to a good fountain pen. However, in this day and age, it is very easy to have a good fountain pen slip by you. If you’ve never come across a fountain pen in your writing career, then you’re missing out. ​So what is a fountain pen? 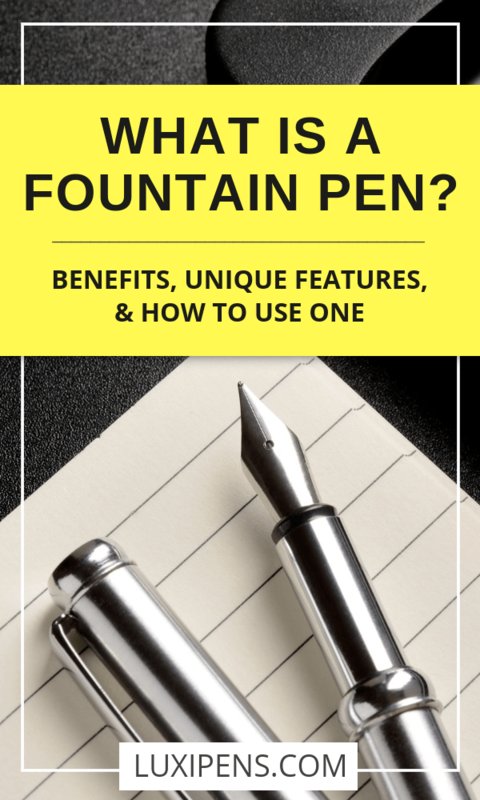 A fountain pen is described as a user-friendly writing utensil with three specific characteristics – a nib, a feed, and a refillable internal ink reservoir. Better yet, the fountain pen can be altered to suit your personal preference and writing style. 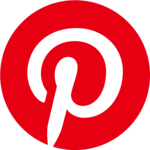 ​Modern fountain pens are a nineteenth-century innovation, although the advent of the fountain pen stems back centuries through various precursors and antecedents. The first prototype of the fountain pen dates back to tenth century Egypt, but successful improvements would not come for another thousand years. In the 10th century, when then ruler of Egypt, Al-Mu'izz li-Din Allah, asked his royal craftsman to design a pen with its own internal ink reservoir. Whether the request was fulfilled ​or not remains a mystery. But it was the first recorded mention of the reservoir pen, centuries ago. The reservoir pen inspired the creation of the fountain pen, named for the internal ‘fountain’ ink source. 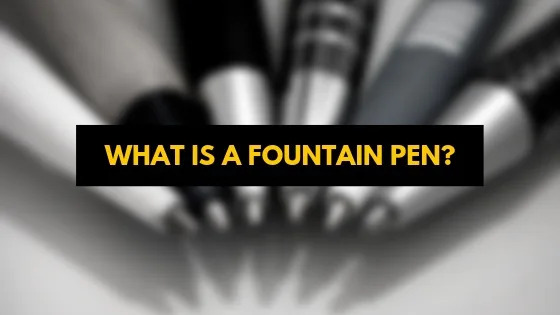 Perhaps poorly named, writers and inventors compared the ink supply of the pen to the water source in a fountain. Reservoir pens reached peak production from the seventeenth to the nineteenth centuries, when ink filling system technology improved. Writers refilled the early designs of fountain pens with an eyedropper syringe and bottled ink, a messy and inconvenient process. These early prototypes also leaked and blotched ink on the page, ruining a freshly written letter or business contract. 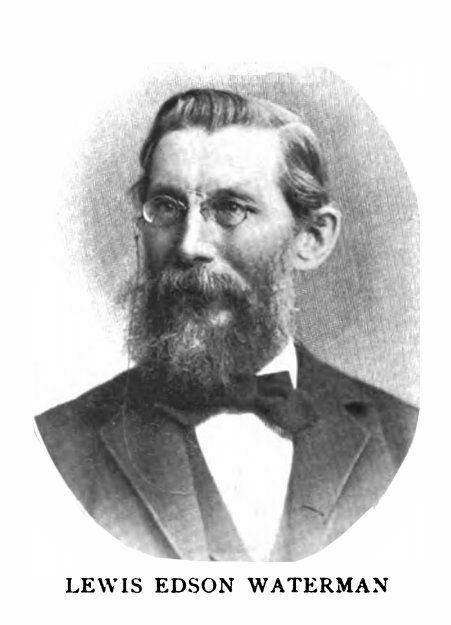 In the 1880s, Lewis Waterman developed the first capillary feed fountain pen, which allowed air to replace the lost ink in the reservoir. This innovation prevented ink splotches by maintaining equal pressure inside of the pen. As improvements continued into the twentieth century, the first self-filling designs made the fountain pen easier to use than ever before. Ballpoint pens, introduced during World War II, used oil-based ink, a more permanent option than the water-based ink used in fountain pens. After the war, mass production of the ballpoint pen (and the later rollerball pen) made the ballpoint more accessible. With a lower purchase price and added convenience, ​the ballpoint pen quickly replaced the fountain pen, which had been the dominant writing instrument for over a century. Despite the availability of ballpoints and rollerballs, fountain pens have experienced a rebirth in recent years as the preferred writing tool for writing enthusiasts, hobbyists, and collectors. Many artists, authors, and professionals are also adding fountain pens to their selection of writing instruments. Now available in more luxurious designs, they are considered works of art just as much as they are writing utensils. Because of the quality and rarity, fountain pens are quickly becoming a status symbol and accessory, assuming a function of more than simply a pen. ​The fountain pen’s reputation as a unique and elegant writing instrument stems from its distinct design. Unlike other pens, fountain pens contain a nib, feed, and ink reservoir that work in conjunction to control ink flow through capillary action – the movement of liquid against a smooth surface against the force of gravity. This same phenomenon can be found in nature: trees and plants use capillary action to distribute water from their roots to their leaves. Capillary Action ​creates a smoother more integrative writing experience that outranks other writing utensils. ​The feed connects the nib to the ink reservoir. It is located in the section, the space between the nib and the barrel. The ink storage container. The ink reservoir comes in two basic forms: the cartridge and the converter. ​The exterior housing of the pen that fits into the hand and protects the ink reservoir. The fountain pen nib, the flat metal piece at the front of the pen that narrows to a point, is quite beautiful, with a highly intricate design in its own right. 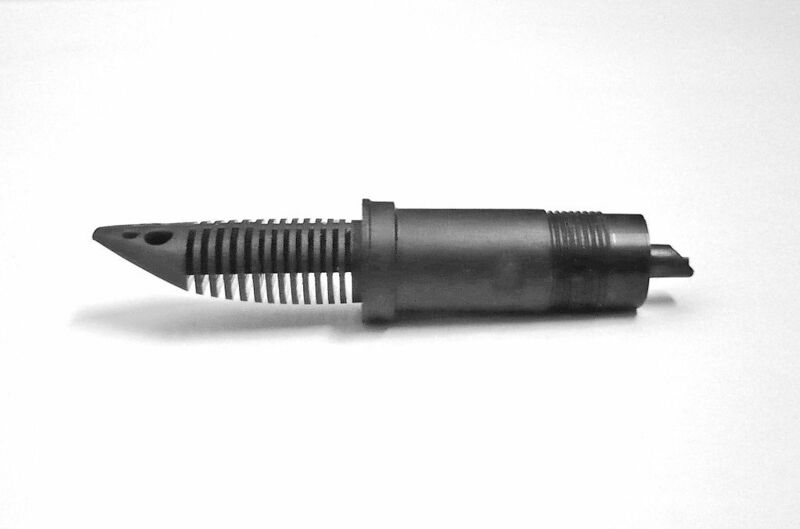 Each part of the nib – the body, the ink slit, the breather hole, and the tines – has its own purpose. ​Manufacturers use the body, or top, of the nib to engrave their logo and the type of metal used in the nib. ​As fountain pen ink moves from the reservoir through the feed, it reaches the ink slit. When the ink arrives in the ink slit, it runs to the tip of the nib. 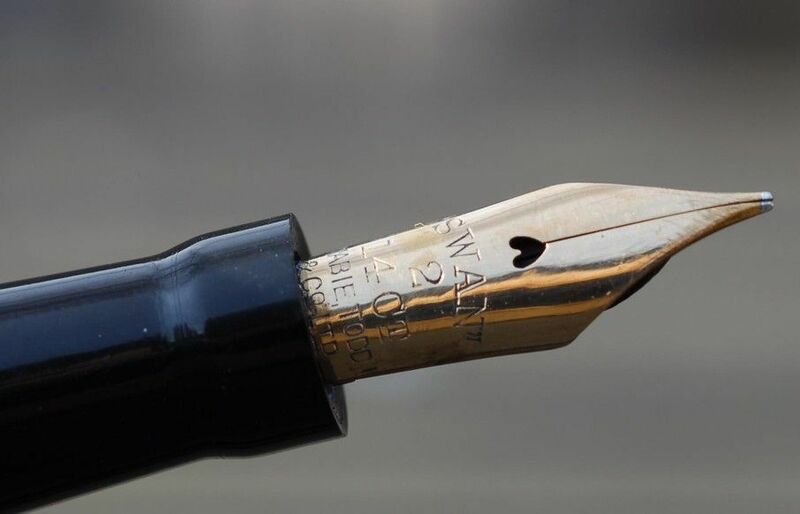 ​The breather hole - a small circular or heart-shaped hole at the top of the nib - marks the end of the ink slit, while also relieving stress on the tip. By allowing air to travel up into the ink reservoir as ink travels down, the breather hole prevents ink splotches from appearing on your page. ​The tines are two grooves on the body of the nib, one on each side of the ink slit, which make it more flexible. Longer tines make more flexible nibs, while shorter tines make the nib more rigid. ​The material of the nib also affects its performance. ​Steel is a stronger metal, making a sturdier nib that resists movement from the writing pressure. These are best for new fountain pen users who are used to writing with a ballpoint pen. ​Gold nibs, however, write smoother across the paper because it is a springier material. The variety of nib sizes and shapes makes the fountain pen highly desirable over other pens. Nibs are interchangeable, so the writer can swap the nib with a variation in size (extra fine to broad, stub to music) without needing to buy a brand-new pen. ​Creating a bridge between the nib and the ink reservoir, the feed delivers the ink from the ink source to the nib. The feed’s two main components – the fins and the ink channel – control the speed of the ink flow to prevent ink blots. A post at the end of the feed slides into the ink reservoir, sending ink to the feed. As the ink reaches the feed, the fins – small ridges located in the grip of the pen – catch any overflow of ink as it enters the ink channel. A thin tube connects the feed to the nib, while the ink channel delivers ink to the nib via capillary action. ​The fountain pen ink reservoir is the source from which the feed pulls ink into its channel and delivers it to the nib. Modern fountain pens use either an ink cartridge or a converter as the source of ink, and many models are compatible with both cartridge or converter options. Some vintage models use the barrel of the pen itself as the ink reservoir. The barrel is filled with bottled ink and a syringe. ​A fountain pen ink cartridge is a pre-filled plastic container that is removed and thrown away when the ink runs out. These cartridges are more convenient for the writer, but they hold less ink than a converter, and they produce more plastic waste. 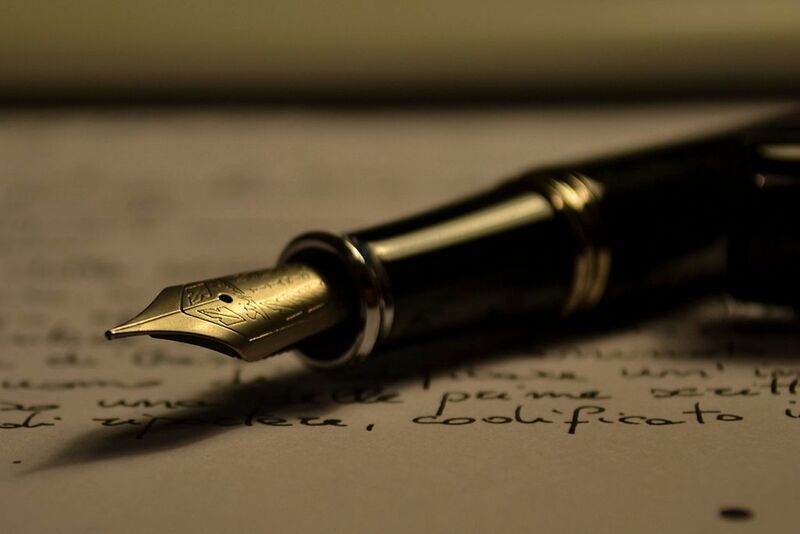 For the environmentally-conscious writer, fountain pen converters attach to the feed, like a cartridge, but they use mechanisms to create low-pressure conditions. After submerging the nib in a bottle of ink, applying pressure or force squeezes the air out of the converter, creating a vacuum that pulls ink into the reservoir. ​Other pens have round points that meet the paper. But a fountain pen nib touches the surface in a different manner. This produces a broader array of line traces than a ballpoint or rollerball. First-time users find that over time with practice they eventually become accustomed to writing with a fountain pen. ​When using a fountain pen, decide whether you will attach, or post, the cap to the end of the barrel. Many fountain pens feel more balanced when a cap is posted, but those with smaller hands may be more comfortable writing with an unposted pen. 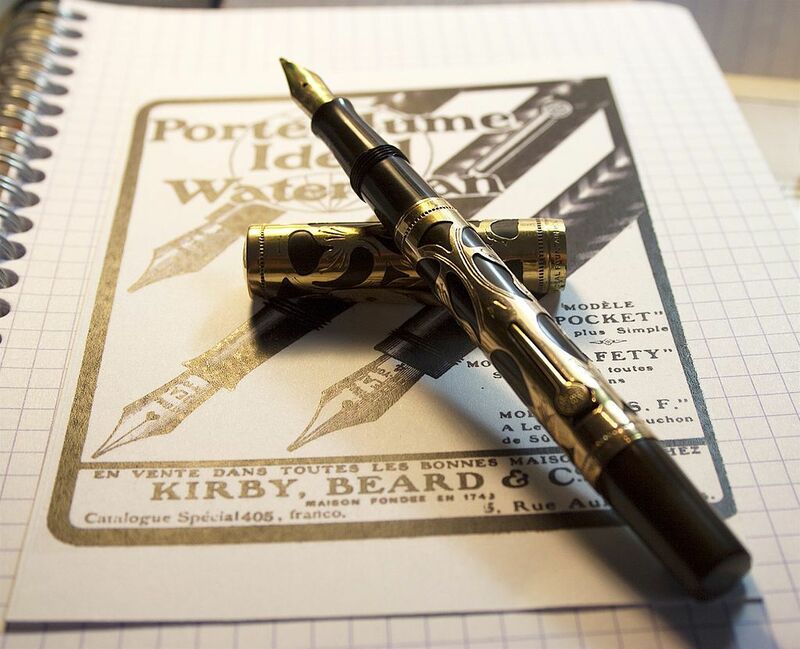 ​Read our article, "What is Fountain Pen Posting?" for more details on the nuances of posting a fountain pen. To properly hold a fountain pen, place the pen in your dominant hand. Your thumb and index finger should gently squeeze the section, located above the nib. The barrel should rest against the knuckle of your middle finger as your remaining fingers rest on the paper for stability. Fountain pens need very little pressure on the writing surface. Place the nib at a 45-degree angle to the paper. Keeping your hand rigid, move your arm and shoulder to write. This is different from how we write with ballpoint pens, so it may feel odd at first. When held correctly, the ink will flow from the tip effortlessly to the page. This perfect position is called the “sweet spot.” If you are used to writing with ballpoint pens, be careful not to press too hard on the nib because too much pressure can damage it. ​Because of its intricate design, fountain pens need more maintenance than other pens. Ideally, a regularly-used pen should be cleaned every four to eight weeks. A good time to clean your pen would be before refilling your ink reservoir. You should always wash your pen before switching to another type or color of ink. ​Do you know how to clean your fountain pen efficiently? To clean your fountain pen, twist the section until it disconnects from the barrel and remove the ink reservoir. Hold the section, with the nib facing down, under cold or room-temperature running water. After rinsing the feed and nib, soak the section in a cup of clean water. When the cup of water becomes saturated with ink, replace with fresh water. You will need to repeat this process a few times until the water remains clear for at least an hour. Once the section is clear of ink, store the section, nib down, in a clean, dry glass lined with a paper towel. It will completely dry within twelve to forty-eight hours. Once the nib and section are dry, reassemble the fountain pen by connecting the ink reservoir to the feed and replacing the barrel. Store the pen vertically (nib up) or horizontally in a cool, dry place away from direct sunlight. ​Although we are writing less with the growth of the digital age, nothing can replace the importance of a good pen. What we do write has become more significant, further highlighting the need for quality pens. A fountain pen provides a smoother writing experience than other utensils. Designed to fit ergonomically in hand, the fountain pen needs minimal pressure to make written lines in an effortless glide across the page. Unlike the ballpoint and rollerball pens, which are not as comfortable to hold, the fountain pen puts less strain on your fingers, preventing painful issues such as cramping and Carpal Tunnel Syndrome. Fountain pen writing samples show that the shape of the fountain pen produces more beautiful cursive handwriting, making a handwritten note or letter even more special. A wide variety of ink choices and fountain pen styles cater the pen to the owner, enhancing the writing experience. Fountain pens are manufactured to last, with proper maintenance and care, for generations. The best fountain pens have become family heirlooms, passed down through families. With a longer shelf-life than other pens, fountain pens are more environmentally-friendly and economical over time. For those who genuinely enjoy the art of writing, the fountain pen contributes to an overall better experience. Others, who may not necessarily get pleasure from writing a note or letter, discover that their new writing utensil encourages them to write more. As technology progresses, we are slowly losing the ability and opportunity to communicate through written language. The fountain pen can help us find it again. “Difference between an Italic, an Oblique, and a Stub?” Classic Fountain Pens, www.nibs.com/content/difference-between-italic-oblique-and-stub. “Oblique.” Classic Fountain Pens, www.nibs.com/content/oblique. “The Anatomy of a Nib.” Classic Fountain Pens, 3 Oct. 2001, www.nibs.com/blog/nibster-writes/anatomy-nib. 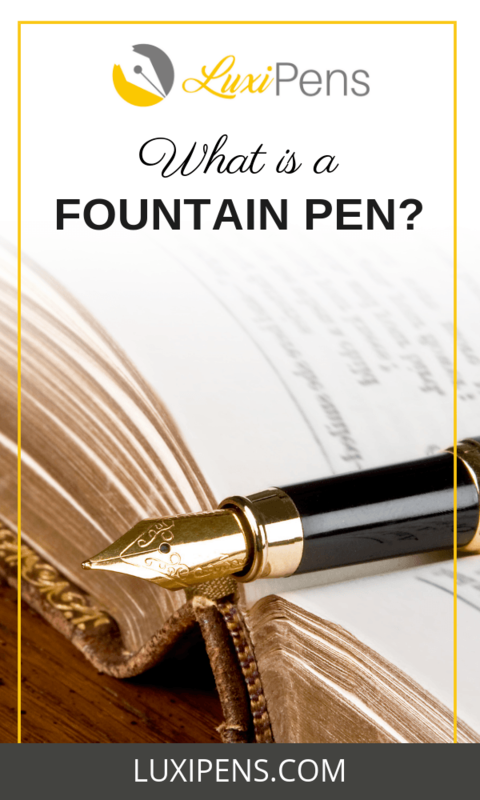 “What Is a Fountain Pen?” Classic Fountain Pens, www.nibs.com/content/what-fountain-pen. Binder, Richard. “To the Point: Making Music with a Pen.” RichardsPens.com • Pens That Write Right!, www.richardspens.com/?page=ref%2Fttp%2Fmusic.htm. McKay, Kate. “Beginner's Guide to Fountain Pens.” The Art of Manliness, 27 May 2018, www.artofmanliness.com/articles/a-primer-on-fountain-pens/.